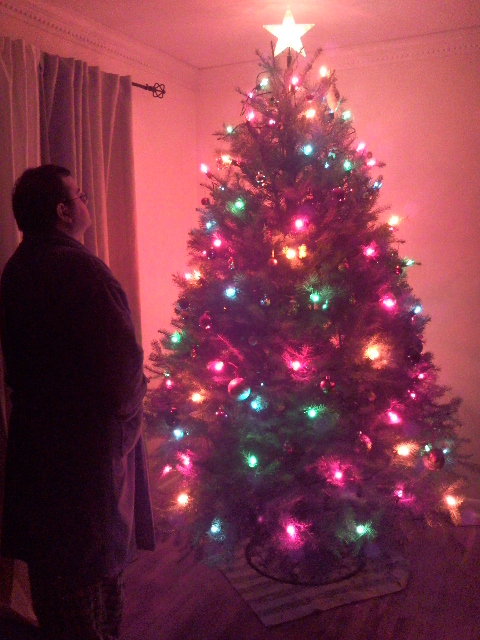 ok, so this post is SUPER delayed…I meant to share the greatness known as our tree! 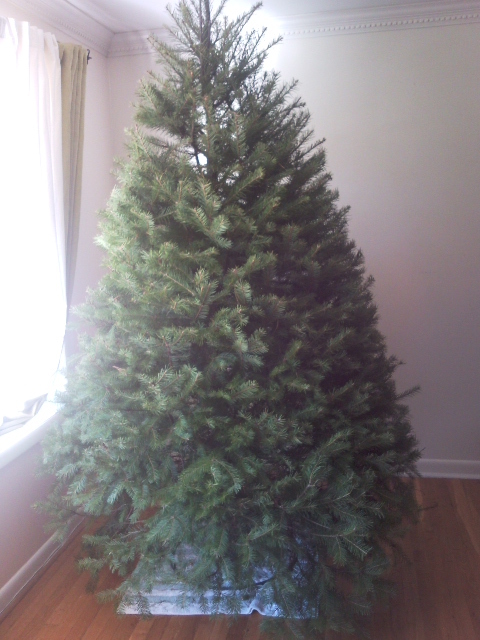 As mentioned a few weeks ago — the day after Turkey day the BF and I went and cut down our tree. 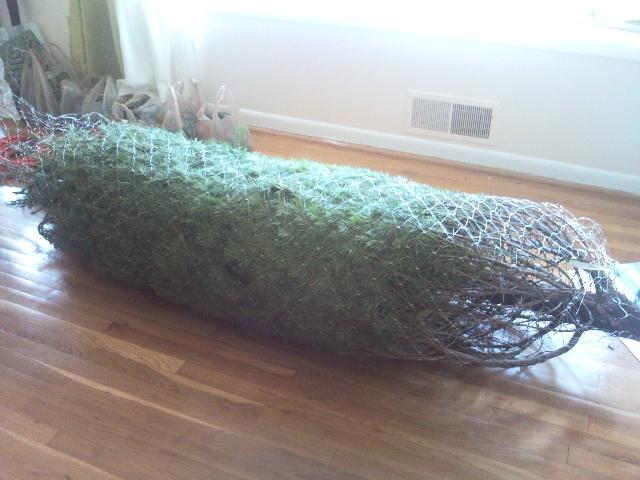 We lugged this into the house..
After struggling to get it straight — success. Then, we let it settle for at least a day or two. I’m going to be sad to see this beauty go — but strangely enough, for as fresh as a tree — I haven’t caught as many ‘whiff’s of Christmas Tree scent as I would like. Hum. Interesting. Don’t quote me on this, but I think that it depends on the type of tree you get, in addition to freshness. Some types of evergreen have more scent than others.